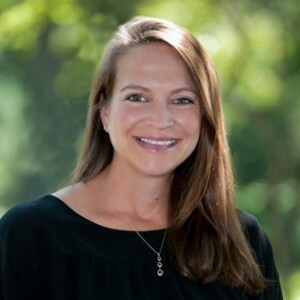 Getting to Know Your REALTOR - Molly Nolan Bynre at The Shanahan Group series and that you've been learning more about the dynamic and knowledgeable team who make up Better Homes and Gardens The Shanahan Group. This week, we're pleased to present Molly Nolan Byrne. A native of Winchester, Molly currently resides in Wayland, with her husband, Darin and two (soon to be three!) boys. In addition to being a full time mom and Realtor, Molly and Darin are also renovating their home. Needless to say, keeping all these balls in the air makes Molly one terrific (and energetic) juggler! Growing up in Winchester with my six siblings, we anxiously awaited the EnKa Fair and Town Day as the unofficial kick-off events to summer. After the beautiful fireworks display ends on the evening of Town Day (and what a beauty it was this year! ), visions of lazy days at one of Winchester's pools or Borggaard Beach, tennis lessons at the town's Packard Courts, and summer picnics in the Town Common, dance in our heads. Summer in Winchester is a beautiful time to soak up everything the town and its surroundings have to offer. As the mother of two young boys (and an aunt to many more! ), I'm always looking for safe and family-centered activities in the area. As a former member of the world-renowned Winchester High School girls soccer team (okay... so maybe I'm a little bit biased...), and wife to one of Winchester's former football team captains (the soccer team was always better! ), we appreciate the many children's sports activities and camps throughout the town. On days when the thermometer climbs above 90, we love to sit in the cool Town Library and listen to story time, or stroll through the shady, tree-lined streets on the way to get an ice-cream in the center of town. As a kid growing up in Winchester, while I loved hanging out with my friends during the week, I was happy when the weekend finally rolled around. A short hour-long car ride is all that separated the Nolan clan from Cape Cod, where I spent summers in Bourne, looking for periwinkles, riding bikes ("Don't go past those train tracks!" Nana would yell), and building sandcastles. Whatever you're looking for this summer, this area has it all. I would love the opportunity to show you the town I still consider home to me (and may soon be for you! ).